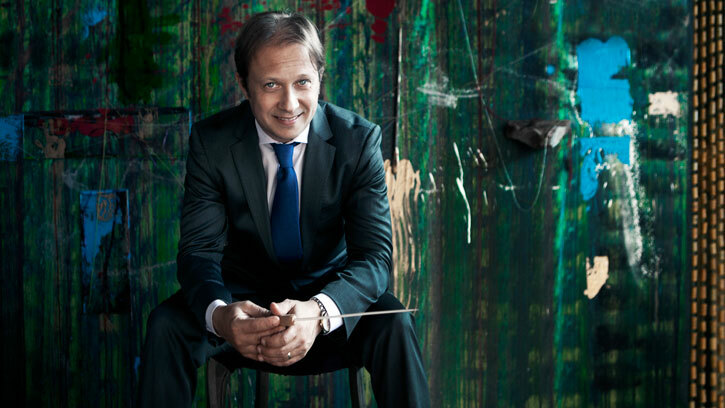 We met with Music Director Ludovic Morlot to talk about the upcoming 2016/2017 season. Here’s what he had to say. Which concerts in the upcoming season lie closest to your heart? You know, usually I say none, because they are all amazing. It is already so difficult for me to narrow all the music I want to do down to a single season. This year, however, there is one program that is outstanding to me. Bruckner is not a composer I have explored very much yet — and not at all with this orchestra — so I will be presenting his Fifth Symphony in April 2017, followed by a recital of his music on the organ. The organ was Bruckner’s instrument. He improvised on it all the time. When you hear the orchestrations of his symphonies, it is like hearing him trying to recreate the wonderful power and voicing of the organ. So, when I hear Bruckner’s music, that’s what I have in mind: the purity of those pipes coming out with the most beautiful voicing. What are the major themes next season? We will complete our two-year Beethoven cycle next season. It was important for me to do the cycle over two seasons so we could pair all his symphonies and piano concertos with repertoire that puts different perspectives on them. How do you create interesting pairings? Could you use Beethoven’s Symphony No. 9 as an example? I paired it with Messiaen’s Trois petites liturgies de la présence divine. I wanted to do something quite special with the Messiaen by performing it with a boy’s choir instead of women’s choir, which should be quite interesting. We’ve offered some Messiaen to the audience here recently with his Turangalila Symphony, so we will be continuing our exploration of Messiaen’s music. You frequently pair Beethoven with rarely heard music or new commissions next season. Could you share some other examples? I sandwiched his First and Eighth symphonies between music by Sergei Prokofiev and his grandson Gabriel Prokofiev. If you recall, it was Gabriel who actually arranged the Sir Mix-a-Lot songs we did awhile back. After this, we realized that his skill as an orchestrator was just incredible, so we had this idea of diving into a commission with him. When it comes to Beethoven’s famous Fifth Symphony, I’m pairing it with Bohuslav Martinů’s Memorial to Lidice. I don’t know if you know that short piece, it actually uses the “fate” motive from the opening of the Fifth Symphony. It is named after this small village in the Czech Republic that was completely destroyed by the Nazis during the war, so I think this will create a strong theme. We’re also doing Beethoven’s Second Symphony with a commission — actually, a world premiere — by Agata Zubel, who will also be singing and presenting another one of her works at our [untitled] concert the same week. Since she is Polish, we built her solo performance around the music of Witold Lutoslawski, who is a composer that we haven’t explored very much yet, and whose music I absolutely love. Are there standout programs next season that people might overlook? There is one week in particular when we’ll highlight the Seattle Symphony Chorale, who are very, very important. We are doing Elgar’s Dream of Gerontius at the beginning of December. We’re inviting back Ed Garner to conduct. We studied together in London, so it is wonderful to see him come here after his many years leading the English National Opera. The Elgar is not performed as often, so I think it is one that could be very easily overlooked, but it is absolutely stunning. What guest artists do you most look forward to working with next year? Hillary Hahn will be our visiting artist next year. I first met her when I was an assistant at the Boston Symphony. She was a regular visitor, so we started a relationship then, but we’ve never been on stage together. Her violin playing is just as pure as one can possibly dream, so I’m looking forward to being next to her and enjoying the violin part as she guides us through Bruch's Violin Concerto No. 1. She is one of those violinists whose playing is as natural as one can imagine it to be. How would you suggest people listen to all the unique musical pairings you’re featuring next season? It’s always about opening yourself to emotions and being told a story, and then translating your life and emotions into what is happening on stage. Listening is always very personal. I cannot tell you to listen to a piece this way or that way. I can just encourage you to find out a little more and be open to engaging in the music personally. That is always the way I like to experience concerts. Subscribe now and take your seat for the coming season: be energized, inspired or just relax. From Beethoven to Zubel, from Shostakovich to Broadway, alone or with family and friends, we invite you to treat yourself to a great season of music — and to LISTEN BOLDLY.